Risk model implementation: Basel-II, Solvency-II, IFRS9. Today, ensuring adequate capital allocation levels by means of stress-testing is common practice for larger financial institutions. From a modeling and software development perspective, stress-testing introduces new - and recurring - challenges. Let us help. In addition, we have also been involved in projects focusing on Economic Capital and IFRS 9 reporting, from a software development perspective. The latter included key risk parameters like regulatory RWA, expected losses and IFRS 9 provisions. Focusing on scalable software architecture, performance and automation, we live up to the challenges of increasingly complex and computationally intensive analyses. Quality-assured and flexible solutions, offering agility amidst rapidly evolving regulatory environments. Keeping workflow integration in mind, automated report generation and database connectivity utilities are readily available. If required, interfacing with other environments is also supported. We can assist at every step of your stress-test application development / deployment, from turn-key solutions to project support and refactoring / conversions. We are used to liaise with Risk Advisory consulting firms, blending domain with software expertise, a proven win-win business proposition for our customers. Contact us to explore the possibilities. Risk models have been around for a long time, often including some kind of process to manage their life-cycles. Partly in response to the credit crisis of 2008, the discipline of Model Governance is becoming more regulated and formalized. In addition to requesting model results, regulatory authorities are now interested in core understanding of the models themselves, their validation processes and underlying data quality. Case in point is today's ECB TRIM initiative. Its largest, single supervision operation to date. 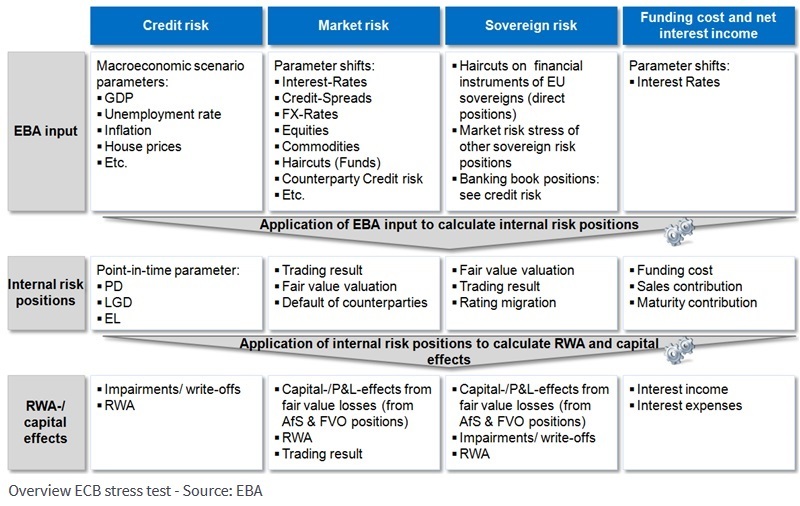 The ECB launched TRIM to identify the causes of variations in calculated capital requirements among banks, stemming from internal models. The objective is to reduce this variability and to restore confidence in internal models. Expect the TRIM impact-phase to involve stricter Model Governance and Model Risk Management awareness. Are you prepared? Contact us.